In the late 1980s, Magnum TA was clearly on the path straight to the top. He had come into the southern wrestling territories and quickly carved out a name for himself in matches against the likes of Ric Flair, Ole and Arn Anderson, and even Andre the Giant. 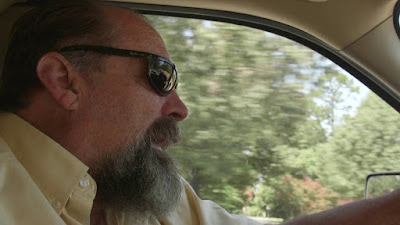 It was Andre who gave Terry Allen his name, remarking on his resemblance to Magnum P.I. himself, Tom Selleck. Combining the Magnum moniker with his initials, Magnum TA rose from a wrestler in Eddie Graham's Championship Wrestling from Florida to regional fame in Mid-South Wrestling for promoter Bill Watts, and ultimately to national stardom through Jim Crockett Promotions, the company that was the biggest competition for Vince McMahon's WWF. On October 14, 1986, Terry Allen was driving his Porsche down a Charlotte, North Carolina road when he lost control of the vehicle and crashed into a telephone pole. He was trapped in his car for over two hours while paramedics and a rescue crew attempted to free him. With irreparable damage to his back, Terry was told that not only would he never wrestle again, but that the chances of him ever walking again were one in a million. Now a new DVD from Highspots, an independent wrestling distributor and production company, charts the rise of Magnum TA and offers something that wrestling fans haven't seen. Through new interviews, Terry Allen himself visits the site of the accident and looks back on a career that ended in 1986. We also hear from a whole host of Terry's contemporaries, including the late Dusty Rhodes in an archival interview. Dusty was booking most of the matches for Jim Crockett Promotions during the mid-'80s, and he offers some insight on the plans they had for Magnum TA. We also get to hear from Jim Crockett himself, as well as Jim Ross, "The Boogie Woogie Man" Jimmy Valiant, Nikita Koloff, Tully Blanchard, and Ricky Morton, one half of The Rock and Roll Express. Magnum TA's story is one of wrestling's greatest tragedies, but it's nice to see that Terry Allen's story doesn't end in 1986. 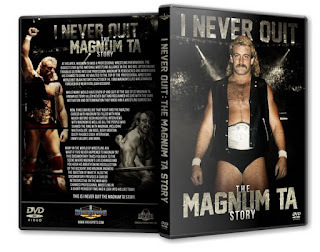 Anyone familiar with old school wrestling probably knows the rise and fall of Magnum TA, but this DVD offers the rest of the story from the man who was at the center of it all. There's a little bit of "what could have been:" two years after Magnum's accident, Jim Crockett Promotions sold their company to Ted Turner, who rebranded it WCW and eventually surpassed WWE's viewership in the mid-to-late '90s. Most of the DVD, however, is made up of fun stories about travelling the territories (wrestlers drove 2,000 miles a week to make their dates in the different towns) and reliving the glory days when wrestling was arguably at the peak of its powers. Because Highspots is essentially an indie company, the production values are nowhere near what one expects from a video package produced by WWE. You will see the same photos of Magnum over and over and over again. Same goes for the video footage, as well, most of which seems to come from one single match. I sympathize with Highspots because Vince McMahon's WWE owns all the footage of Terry Allen's work in Championship Wrestling from Florida, Mid-South Wrestling, and Jim Crockett Promotions. The good news is that subscribers of the WWE Network can watch hours upon hours of matches featuring Magnum TA, but the bad news is that Highspots had access to almost NONE of the footage or imagery associated with the subject of their documentary. They did what they could by licensing footage from a private collector, and it works well enough to get by. The draw isn't the wrestling footage anyway, but the reminiscences of Terry Allen. That's the draw for this DVD, and it's a success in that department. 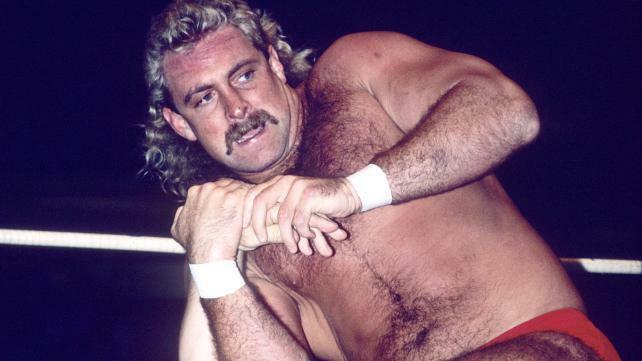 Even though his wrestling career ended in 1986, Magnum TA has had a legacy that continues to this day. He was a great babyface with a huge fan following, and his matches against opponents who would go on to be some of WCW's brightest stars are still watchable to this day. I recommend his steel cage "I quit" match against Tully Blanchard at Starrcade '85. It's on YouTube, and it's where this DVD got its name. It's also one of the most brutal and compelling wrestling matches ever. Whatever "it" is that makes a wrestler a superstar, Magnum had it. You can buy the DVD from Highspots HERE.